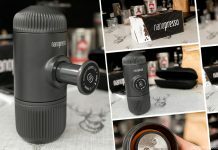 Handpresso Review with Outdoor Espresso making demo and how-to tips. A manual Espresso machine designed for the outdoors. The Handpresso can be used with fresh ground coffee or with E.S.E pods. A must-have gadget for coffee lovers with a passion for travel and a life on the go. Solid build quality, very simple to use, easy to clean, makes a very good quality Espresso. Slightly on the heavy side (480g), Pressure does drop during the extraction. The E.S.E coffee pods make an amazing coffee with absolutely no mess – perfect for hiking. 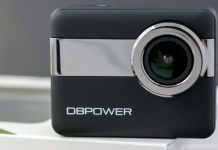 As a lover of portable gadgets and good coffee, this product has got my heart racing with excitement. This could also be explained by the copious amounts of Espresso I’ve consumed over the last week. 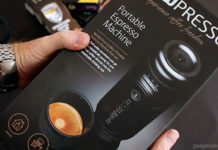 Either way, I’m looking forward to getting stuck into the Handpresso review. The unit I have for review is the black version of the 2-in-1 Handpresso which is also available in silver or white. 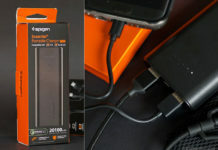 It comes inside a high-quality presentation box with a well-illustrated multi-language user guide. On opening the box, I was pleased to see that the Handpresso has very few components to worry about. As well as the unit, there’s a basket for ground coffee and a pre-installed E.S.E pod adapter. The carry case and espresso cups do not come with the unit but are available to buy separately. Handling the Handpresso for the first time had me admiring its robust build-quality while at the same time feeling a little bothered by the weight. I have absolutely no doubts about its durability, If dropped from a height, I’d fear for the floor before being concerned about damaging the product itself. Comparing the build-quality against other portable espresso machines like the Minipresso or the Staresso, it’s in a league of its own. The Handpresso has very few plastic components and those that are, feel thick and hard wearing. 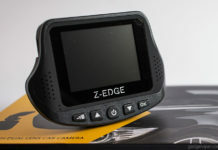 While this is great for most outdoor uses, as an ultra-light backpacker, every gram counts. Personally speaking, I’d happily sacrifice durability to shave some extra weight off. For those less obsessed with ultra-light hiking gear, this product has very little (if any) flaws. The simple design works beautifully and I found it easier to use than any other manual espresso maker I’ve previously tested. If you haven’t already watched my demo video, here is a link to the part where I make an espresso using the E.S.E pod adapter. Make sure the infusion button is up. Pump the handle just over 20 times until the pressure gauge is in the green. Remove the portafilter and pour in the hot water to the underside of the E.S.E pod adapter. Add the E.S.E (Easy Serving Espresso) pod. Screw the portafilter back on and flip it over. Wait a few seconds for the water to soak through the coffee. Press down the infusion button. When you’ve extracted enough coffee, raise the infusion button. Thumbs up for the E.S.E pod adapter! I wasn’t expecting the E.S.E pods to produce an espresso anywhere near the quality of freshly ground beans, but I couldn’t have been more wrong! I compared the Illy E.S.E pods with freshly ground Illy beans and there really wasn’t much of a difference in taste. What’s more, there is absolutely no prep work required and zero mess to clean up. As much as I obsess over grinding my own beans, I can see this as my preferred option for hiking trips (despite the extra cost). I’ll save weight and space by not needing my ceramic grinding mill. The process will be easier and more consistent with minimal impact on the enjoyment of my coffee. Use a ceramic/burr coffee grinder. This will allow you to find the correct coarseness. It needs to be fairly fine, I use a Hario Mini and it’s a couple of clicks from the finest setting. While the E.S.E pods come with 7 grams of coffee, try aiming for between 8 and 10 grams. 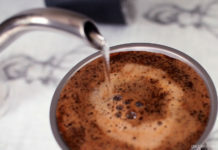 If the espresso is too strong try using less coffee grounds or a coarser grind, if it’s too weak do the opposite. If you’ve got enough hot water, it’s nice to preheat the Handpresso and the espresso cup before the extraction. Even if the water is boiling hot going in, it will soon lose temperature when it comes in contact with the reservoir. Try filling the reservoir up as much as possible to limit the amount of air trapped inside. If you’re steady enough, you could attempt to continue adding pumps during the extraction. The pressure does fall from the initial 16 bars. With some careful pumps, you can maintain a fairly high pressure throughout. 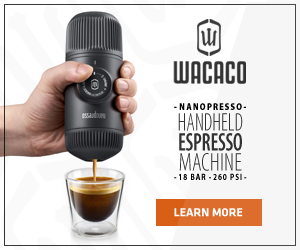 Would I recommend the Handpresso? Having used the Handpresso over the last week I simply cannot recommend it enough. 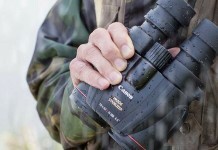 I’ve been hugely impressed with the product and it’s been a pleasure to use. The process is simple and consistent, especially once you’ve discovered the correct weight, grind coarseness, and tampering. It produces a very flavoursome espresso with a decent crema which in my opinion is plenty good enough to use at home as well as on a hike. 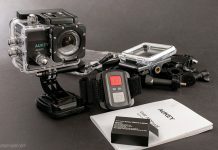 I hope you enjoyed this review, if you did, please leave a comment below or share it socially and don’t forget to subcribe to our YouTube channel for regular giveaways. 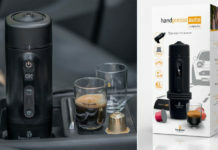 What’s the difference between this Handpresso model and the cheaper version with the bright colours?